Congrats to Emma and Anthony for Representing SES at Zones in Tupelo MS in Aug! SEASTARS Aquatics Inc. is a 501(c)(3) corporation. All donations are tax deductible. A copy of the official registration and financial information may be obtained from the Division of Consumer Services by calling Toll Free 800-435-7352 within the state. Registration does not imply endorsement, approval or recommendation by the state. We are a member of the Amazon Smile program! 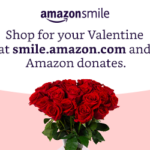 The next time you order from Amazon.com please consider logging into their Smile program https://smile.amazon.com The login is the same but it gives you the opportunity to designate SeaStars Aquatics as the recipient of 0.5% of your purchases. This really adds up! Thanks.